It’s easy to make sure your dog doesn’t track mud into your house, or your cat doesn’t leave hair all over the couch before people come over. However, it can sometimes be hard to get rid of the stubborn smells left behind by pets when company is scheduled to come over. While many dog and cat owners already take precautions to avoid a stinky house, some steps need to be done constantly to stop the smells from reoccurring. Here are a few things that can be done to control pet scents around the house! Changing kitty litter frequently is important, however if you live in a small apartment the scent can travel across the entire space and simply changing it might not be enough. Buying a covered litter box will keep some of the smell enclosed inside and can prevent the spread of litter all over the floor and through your home. Making sure the litter box is wiped down and cleaned every so often can definitely help, and don’t forget the box should be replaced once a year! Cleaning up accidents as soon as possible is important, as letting them sit there can make your carpet smell. After the mess is cleaned up, it is key to cover the spot to get rid of the smell. A mixture of vinegar, water and baking soda will help you blot the stains and get rid of the lingering smell quickly. To keep your carpets from smelling like your pet try vacuuming any hair that may be stuck in the carpet and steam cleaning it every once and awhile. This will help pull out any unwanted smell left behind from your pet. Making sure your pet is properly taken care of is another big factor of smell. A few things to do: put your pet on a regularly bath schedule, check its ears for any sign of infection, brush teeth regularly and be aware of oral issues, and check their body for any irregular skin spots. In general, pets should be checked and looked at with the aid of occasional vet visits to be safe and aware of any health issues your pet may have. The source of the pet smell may be coming from the items your pets use most, such as their toys and beds. If your dog has a favourite chew toy, giving it a rinse or wash in hot water might be a good idea. Washing your pets’ beds, blankets, towels and food trays regularly will help get rid of unwanted smells. An item that owners usually forget about is your pets’ collars, cleaning this every once and awhile can help get rid of smells your pet might be carrying around and bringing into your home. 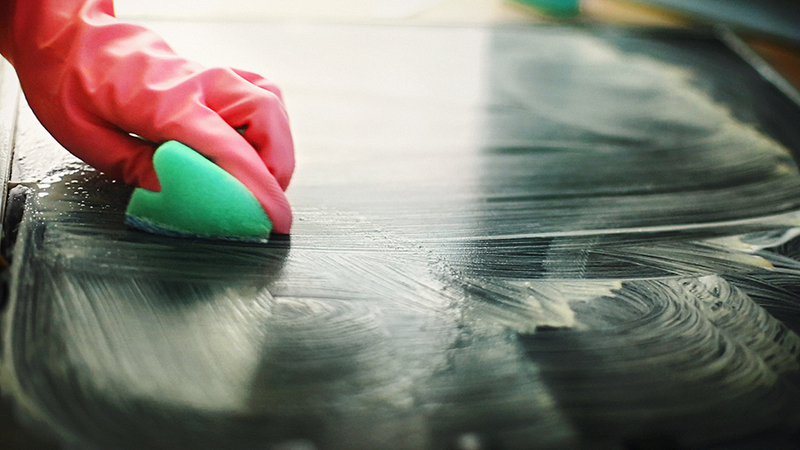 Have a busy schedule and don’t have time to clean your floors, carpets and couch? Windsor Home Cleaning is here to help! Contact us to learn more about our Ottawa home cleaning services. Kitchen Cleanliness – A Maid Service Can Help!